First we cruise up to 12,000ft and soak up scenery of all 144 islands that make up the Bay of Islands. The spectacular views of turquoise water, golden beaches and lush countryside are guaranteed to take your breath away. You’ll sit on the edge of the plane, the anticipation will build as you prepare to exit and then we jump! 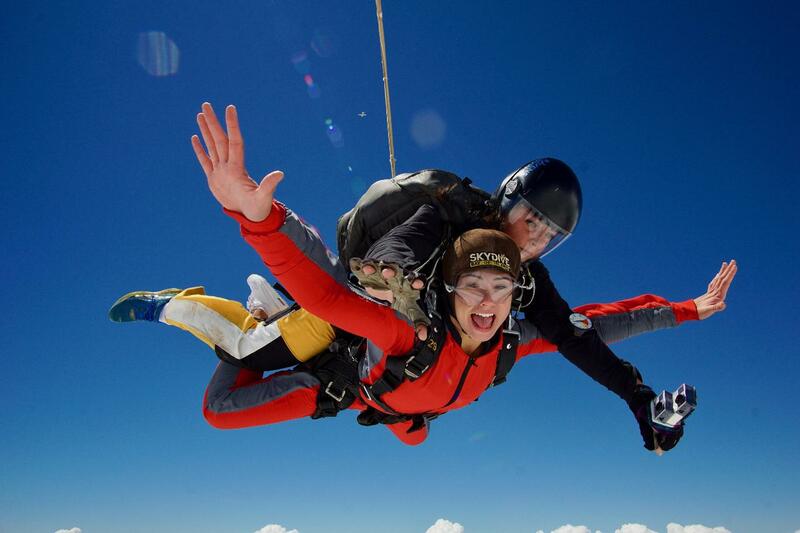 Reaching speeds of up to 200km per hour, experiencing the thrill of freefall is something you’ll never forget. After an insane 45 seconds of freefall you'll then float under canopy before landing back at the dropzone, or one of our alternative landing areas. You’ll be buzzing long after your feet touch the ground.